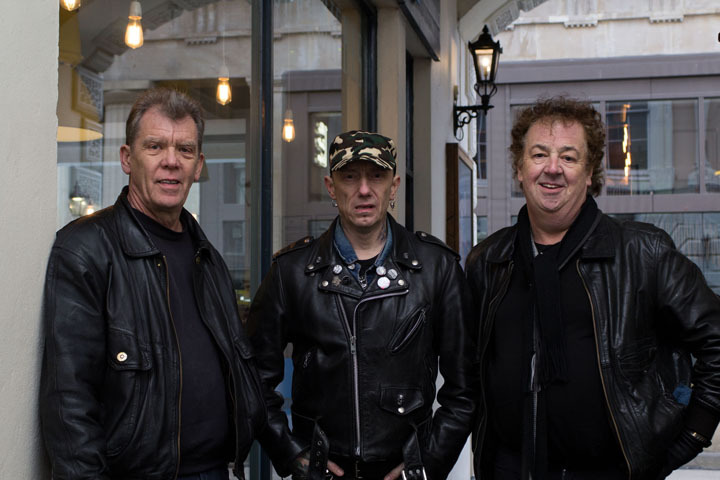 Latest 2017 line-up: in photo, left to right: Nigel Bennett (guitar), Eddie (drums), Pete (bass). The Vibrators - 40th Anniversary poster (black). 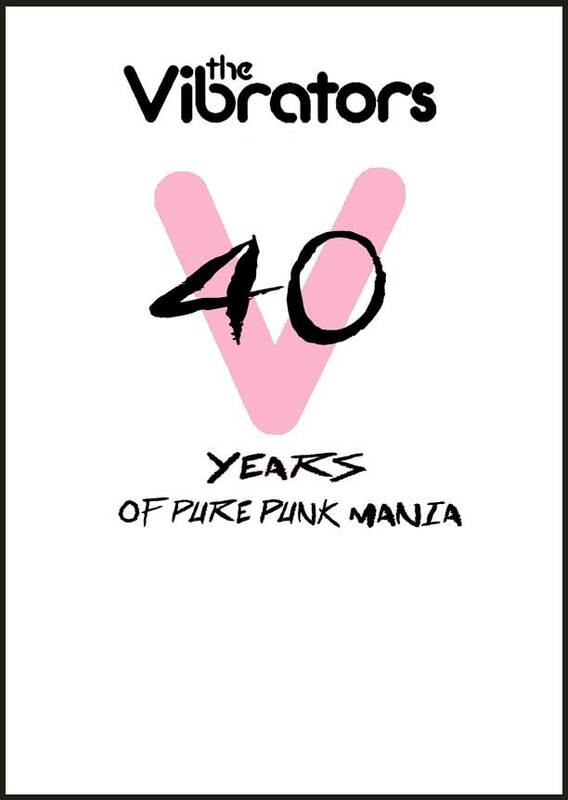 The Vibrators - 40th Anniversary poster (white).